One of our very own MSJDN members was recently nominated by the Air Combat Command for the 2018 United States Air Force Joan Orr Spouse of the Year Award. It’s a highly prestigious award that recognizes contributions to the U.S. Air Force community by non-military spouses of Air Force servicemembers. The award honors the late Mrs. Joan Orr, wife of former Secretary of the Air Force Verne Orr. Nominations are based on accomplishments of an individual’s specific contributions to the Air Force community in specific areas such as base and community activities, Air Force-related organizations, demonstration of leadership, and membership in professional, civil and cultural organizations. The Air Force Association will name the recipient of the award in June, and present the award formally to the recipient at the Air Force Association National Conference in D.C. in September 2018. I sat down with Anna to further discuss her nomination. Note: Anna’s responses are paraphrased responses by the author, not Anna’s direct, quoted responses. Katherine: Can you explain the nomination process? Anna: The Joan [pronounced “jo-anne”] Orr award is initiated by a squadron nomination. Squadron nominations go up to the group, then the wing. This nomination has gone through five to six different vetting processes. The Joan Orr award is unique in that it is the only one of its type awarded to a family member or spouse. The squadron commander nominates individuals by putting together an extensive nomination package. It meant a lot to me that the I was nominated, because of how much time, manpower and commitment it took for a number of servicemembers to complete the nomination package. Katherine: What were some of the accomplishments that were highlighted demonstrating your contributions to the U.S. Air Force community? Anna: My business, among other things, advocates for military families—it’s my mission to improve complicated situations for military-affiliated families. 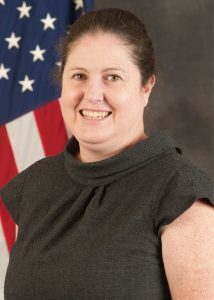 I serve on the local housing authority board, am a USAF Key Spouse Mentor at the squadron level (help train other key spouses), and provide strategic planning consulting to the squadron as well. I am the founding network lead for the U.S. Chamber of Commerce Foundation Hiring Our Heroes Military Spouse Professional Network – Holloman AFB. I also provide out-of-hours (evenings and weekends) notary services to servicemembers and JAG on base. I am involved in the Alamogordo Rotary Club, bringing servicemembers from the base to speak to the rotary. We’ve featured a local military spouse attorney as a speaker; she came to a rotary club meeting to discuss her role as city attorney! I strive to support the relationship between the local community and military families that live on base. Finally, I am involved with Main Gate United, which is a leadership group of about 100 business owners and community leaders that liaise between the city and the base; I function as a military ‘cultural liaison’ to help military families tell our story in a way that we are understood. That’s what I spend a lot of time doing—helping us all tell that story. Katherine: How have you been involved in MSJDN? Anna: I’ve led the efforts in New Mexico for a military spouse law licensing accommodation, which would allow spouses of active duty servicemembers stationed in New Mexico to obtain law licensure. The New Mexico team has been working on this measure for four years now, and we’ve been stationed in the state for five years. 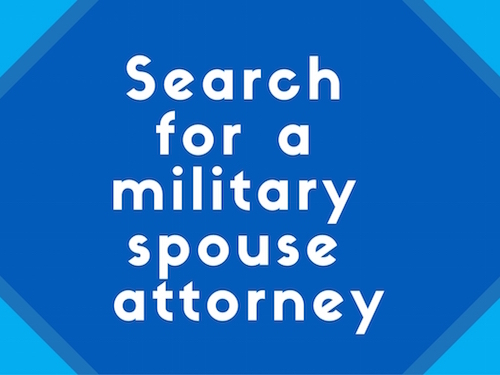 All volunteers that work on MSJDN rule change accommodations are simply trying to make a positive change and future opportunities for military spouse attorneys. It hasn’t been a possibility for me to practice law in New Mexico, but that doesn’t mean it can’t be a reality for others that follow. Katherine: How did you feel about being nominated for such a prestigious award? I was also recently coined by the group commander for the operations group, which was in front of 400 group members. 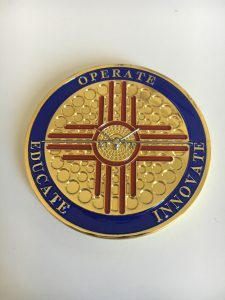 The coin was special to me because it had been designed by another military spouse attorney’s husband. Katherine: Is there anything else you’d like to add about the Joan Orr award? Anna: I did want to mention that Joan Orr was one of the first military spouse advocates—an advocate that really looked at the needs of families. She went to see people, and their families, to determine what they needed. Mrs. Orr visited hospitals and childcare centers, in order to meet Air Force servicemembers and their wives. Even at Christmas, the Orrs would visit servicemembers separated from their families at remote bases in Greenland and Alaska. 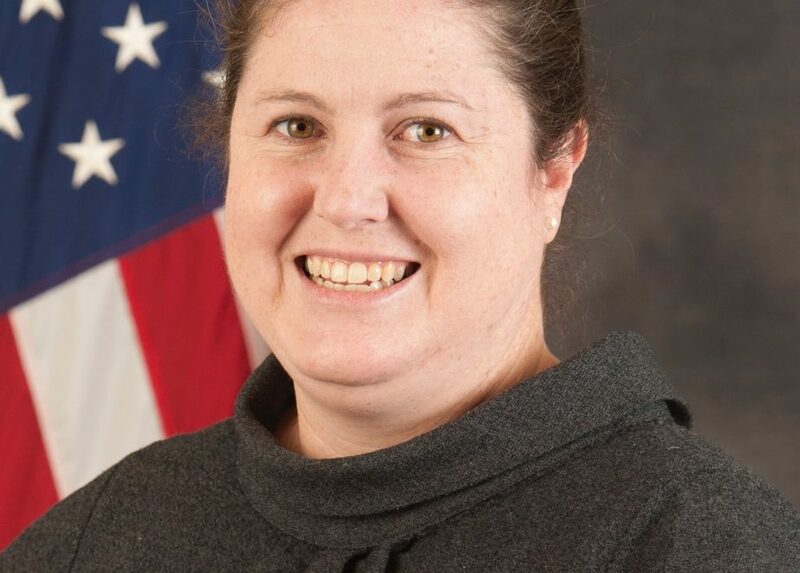 She was a pioneer of military family advocacy. It’s my belief that she impacted the larger societal role of the military spouse for the better, and it’s my experience that culturally, military spouses have benefited from this positive change.